A Journey of a Thousand Miles: Peacekeepers follows a unit of all female Muslim police officers are sent to Haiti as peacekeepers for a year. Q&A with director Geeta Gandbhir will follow the film. The final screening of our 2nd Annual Women’s Film Series. The film series showcases movies made by women filmmakers. Q&A with director Geeta Gandbhir will follow the film. 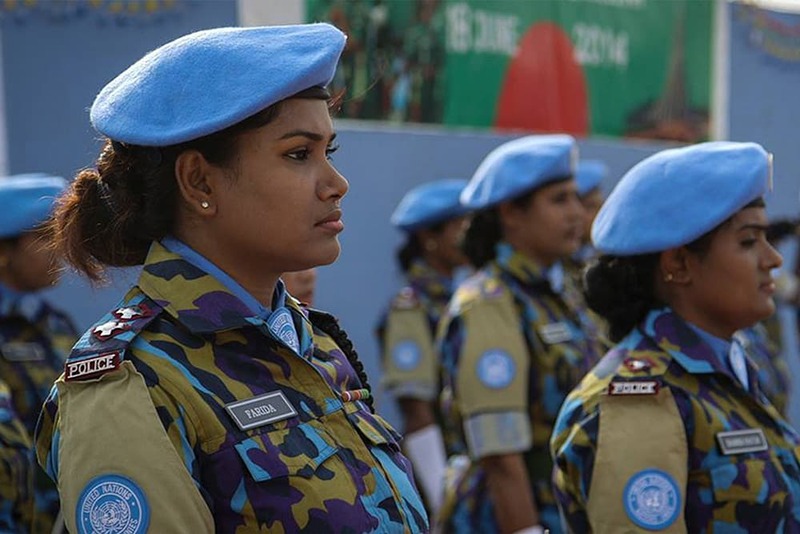 A Journey of a Thousand Miles: Peacekeepers follows a unit of all female Muslim police officers are sent to Haiti as peacekeepers for a year. GEETA GANDBHIR is an award-winning documentary filmmaker. She co-directed and edited Remembering the Artist Robert DeNiro Sr. for HBO, produced and edited Whoopi Goldberg Presents Moms Mabley for HBO, and edited Which Way is the Frontline From Here?” The latter two films were nominated for Emmy Awards. Additional notable works include When the Levees Broke, By the People: The Election of Barack Obama, Music By Prudence, Budrus, If God Is Willing and Da Creek Don’t Rise, and God is the Bigger Elvis, which was nominated for the 2012 Academy Awards. Gandbhir’s films have won two Emmy Awards, one Academy Award, and three Peabody Awards.